How far is too far? How can you protect yourself from stirring up love before the time is right? Gerald and Jay give clear biblical answers to these and many more questions. The model they set out for a biblical dating culture is radical in contrast with what our normal Christian dating culture looks like in the West these days. It’s entirely based on biblical principles and thus very compelling. Gerald and Jay suggest that the Bible speaks about male and female relationships as family members, neighbours and spouses, showing that the Bible prohibits sexual relations in the first two sets of relationship whilst commanding it in the third. 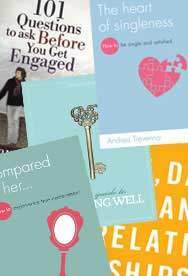 According to the authors “pre-engagement dating relationships” are a category that we have invented that is not biblical. Because we cannot find this category in the Bible we therefore have to come up with our own moral standards for this category which evidently leads to a lot of confusion in questions like ‘How far is too far’? Whilst we are unmarried we are to see men in the ‘neighbour category’ treating them at the most like close family members. This excludes any physical or sexual pre-marital contact. 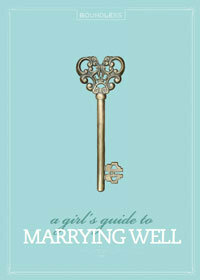 But that leaves us with the question: How do we get from being neighbours to being spouses? 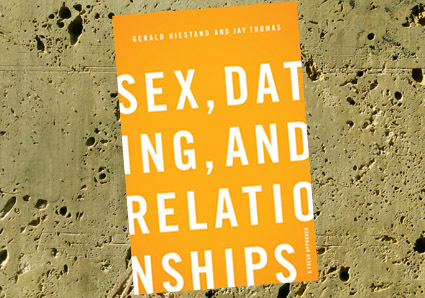 In response to this Gerald and Jay set out a model called ‘dating-friendship’ as an alternative to a ‘dating-relationship’. Radical? Yes! Sensible? YES!! 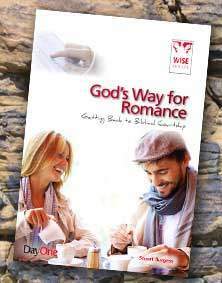 The principle that the authors stress most is that the exclusive sexual relationship between a wife and a husband is the strongest picture we get for the spiritual relationship between Christ and his bride. This calls for rethinking our standards of sexual purity.